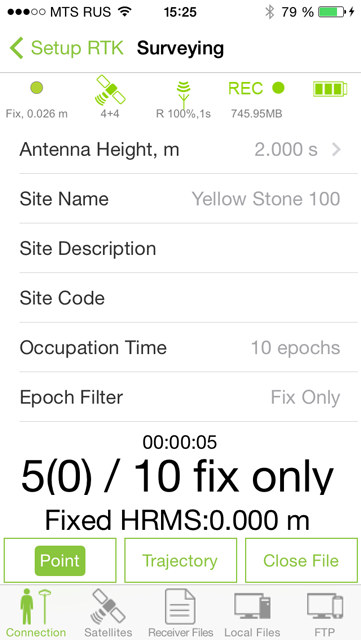 This application allows you to control post-processing survey with just your iPhone/iPad and send the data to OPUS processing. No more expensive controllers and software is required! You can connect your GNSS receiver in field to iPhone/iPad/iPodTouch with WiFi connection internally implemented in JAVAD TRIUMPH-2 and TRIUMPH-1 receivers. 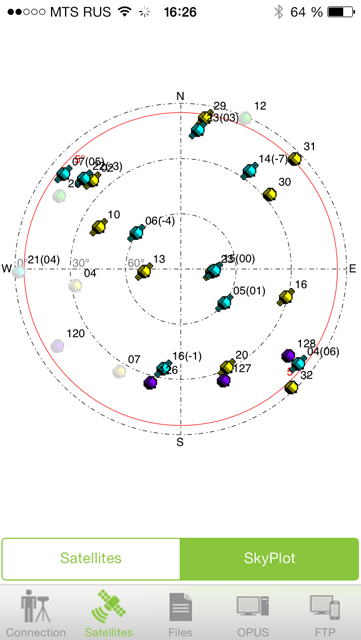 Control site name, antenna height etc. in field. 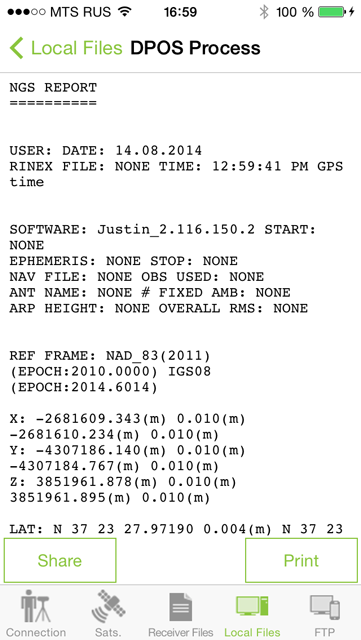 The result data can be saved into iPhone/iPad, converted into Rinex and send to NGS OPUS server to get results. Assists in collecting GNSS data and post-processing it via Online Positioning User Service(OPUS). Or with JAVAD GNSS Data Online Processing Service (DPOS). Result will be saved back into the iPhone (for OPUS you can set jmt@javad.com as e-mail address for OPUS to let the software receive OPUS answer and save it). Also RTK survey is possible. 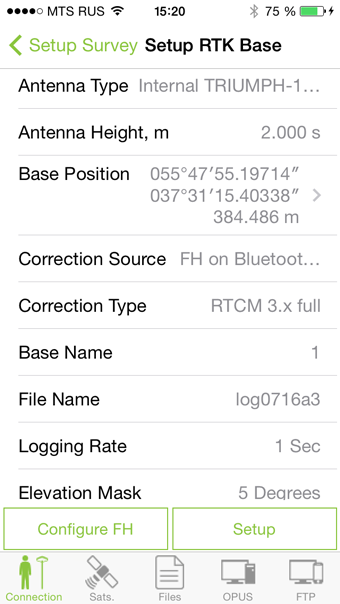 You can set up RTK base with FH Radio or UHF Radio. And you can do RTK survey. Also you can use RTN (Ntrip or RCV servers) for RTK data collection. RTK Stakeout with design points is possible. All data are organized into jobs. Control points can stored into catalogs. 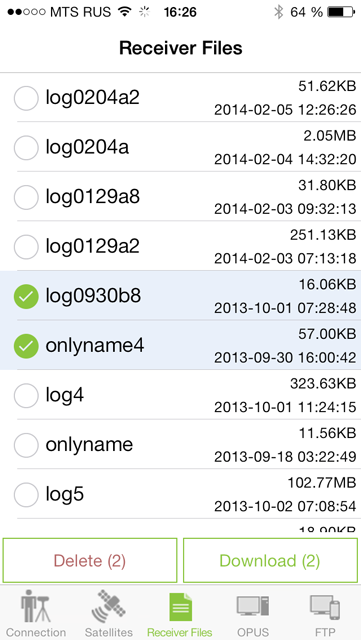 Result data can be exported into plain text files inside your iPhone/iPad. Import and export with iTunes or iCloud or with external applications like DropBox/Google Drive, e-Mails, iMessages etc. Compatible with JAVADGNSS TRIUMPH-2 and TRIUMPH-1 receivers. Allows to setup receiver's parameters remotely.